A brand new logo and with it, a brand new look. “Meals on Wheels America came out last year with this new logo and an opportunity for local programs to adopt the same branding at little to no cost. We are excited for what this new logo means, and the exposure it can bring to the program. It’s fresh, eye-catching, and fits well with our tagline, ‘Any Age, Any Reason,’” said Shauna Frost, Executive Director for Meals on Wheels of Albuquerque. The new logo is vivid and uplifting. It is intended to conjure images of people in service, the excitement of a revitalized movement, and the concept of many components coming together to accomplish a singular, powerful goal. It was professionally designed by Duffy and Partners, a firm that has completed projects for Mall of America, Fisher-Price, Water for People, Minute Maid, Susan G. Komen, and others. The logo conveys forward energy, forward motion, and forward hope. Meals on Wheels of Albuquerque and its Board of Directors decided to make the change in order to reinvigorate the agency’s purpose and messaging. The old logo had been around for a number years, and the organization was looking for something urgent and hopeful. Meals on Wheels America will be starting a national, multi-year advertising campaign with the Ad Council this year. 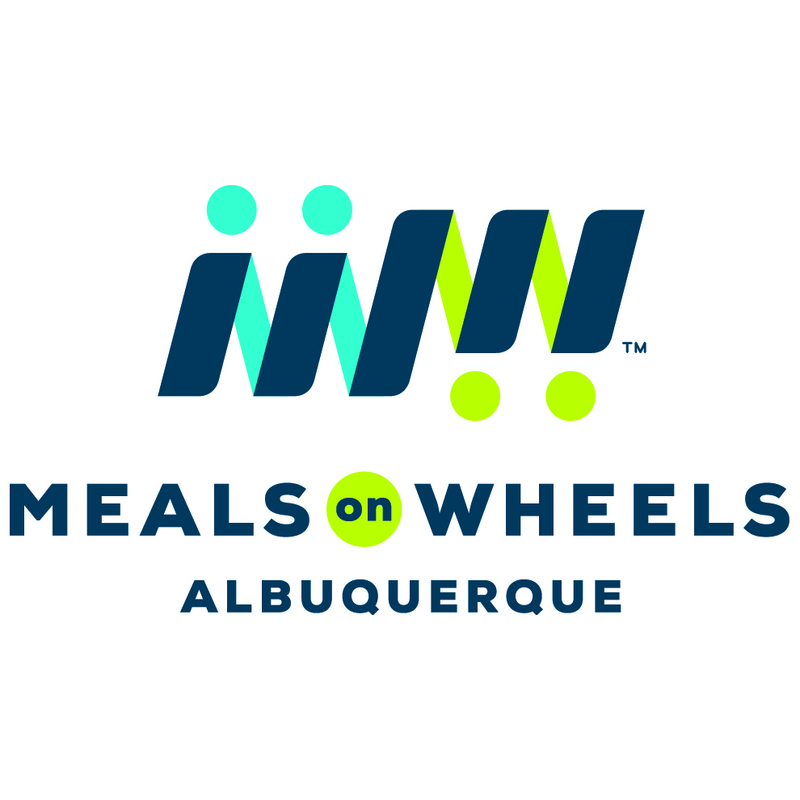 This logo change will allow the community to more easily connect the ad campaign with the local program, increasing awareness of Meals on Wheels of Albuquerque. “We’ve made so much positive change in both in the community and in our operations over the past twelve months that this logo change is the topper on the cake. We are so excited to be starting this new year with something fresh and new. The new logo really reflects the optimism we have for the future of Meals on Wheels,” said Frost. 1. Designed to convey energy, forward motion, urgency, and hope. 3. The two dots on top of the “M” represent two people delivering meals, and the two dots on the bottom of the “W” represent the wheels of a car. 4. The whole logo leans right, indicating forward movement. Meals on Wheels of Albuquerque is a nonprofit, community-based organization founded in 1972. It prepares and distributes nutritious and affordable meals to adults, the elderly, the homebound, the disabled, or people who may suffer from serious health concerns. Each year, 125,000 meals (five meals a week/client on an ongoing basis) are delivered with the incredible support of over 400 volunteers. Mission: Nourishing bodies and spirits with balanced meals and friendship.